Leading the way in full time RV value, innovation, luxury and style is the Heartland Bighorn Fifth Wheel. 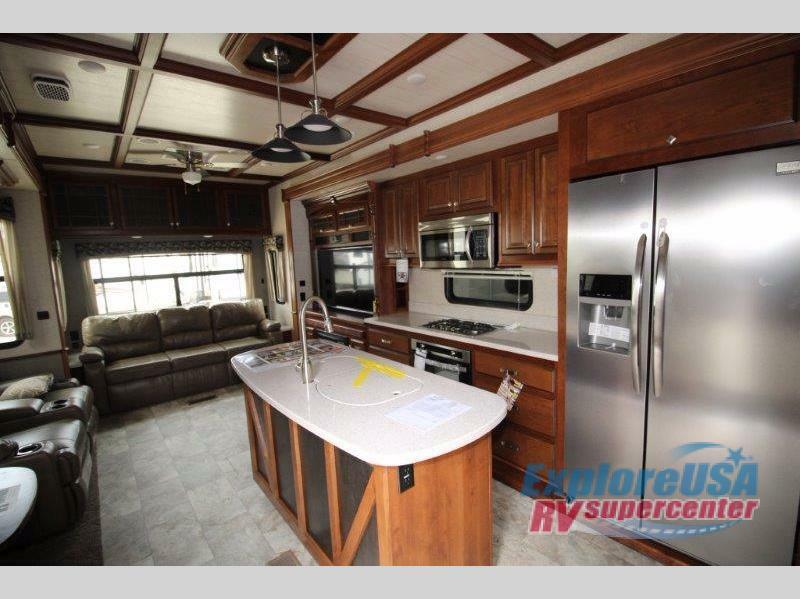 This outstanding fifth wheel brand offers extended living RVers a luxuriously rich RV home on the road at a very competitive price point. For a limited time, all Bighorn Fifth Wheel Models are on sale at the Explore USA RV Bighorn Super Sale. Get incredible savings on innovative designs and knockout features. Step inside the Heartland Bighorn and you are welcomed by a warm and sophisticatied interior design where you are sure to feel right at home. 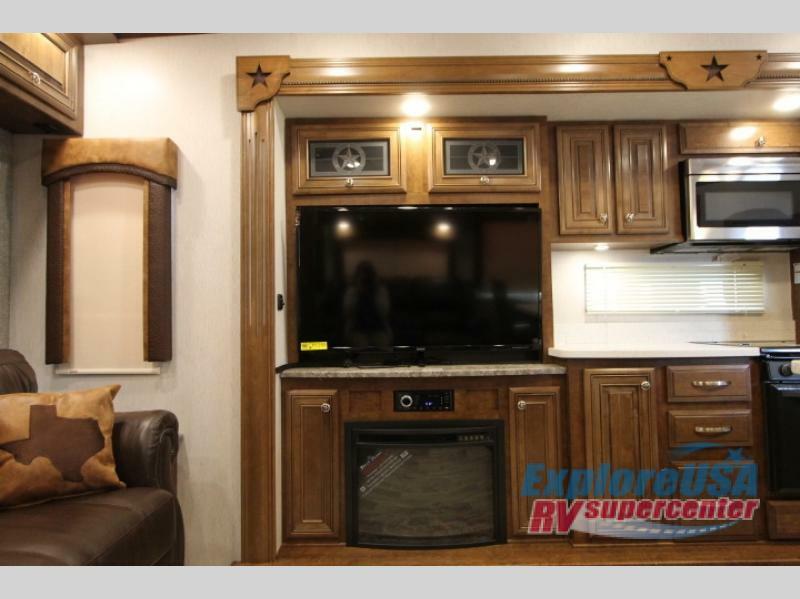 From the amish crafted hardwood cabinetry, power theater reclining seating, cozy electric fireplace, and “rustic chic” decorative accents, the Bighorn has what it takes to make your full time RV lifestyle a huge success. The Heartland Bighorn spares no expense in superior climate control. The well insulated roof, floor and sidewalls (formaldehyde free insulation) are designed to keep you completely comfortable during the hot and cold spells throughout the year. The 42,000 BTU furnace includes a seamless one piece, below floor heat duct. The Whisper Quiet A/C system includes dual high output 15,000 BTU A/C units for consistent cooling from front to back. The chef’s style kitchen is top of the line with stainless steel appliances and solid-surface counter-tops with pencil nose edges. Whether you are looking to entertain family and friends, or just enjoy flexing your cooking muscles in the kitchen, the Bighorn has you covered. At the end of the day, you can look forward to a restful night’s sleep on the king sized, memory foam, pillow top mattress. The 6´4″ bedroom ceiling height provides plenty of headroom for everyone. 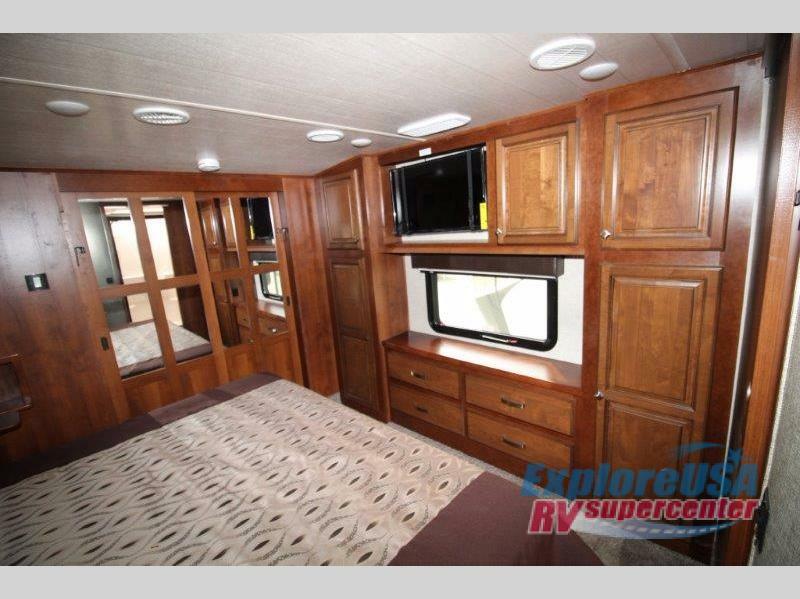 In addition, the Bighorn bedroom is full of storage space from the built-In closet system with recessed shelving to the tall dresser to extra storage shelves. In addition, the Heartland Bighorn has the largest exterior storage in it’s class over 140 cubic feet of pass-through storage! The Heartland Bighorn is also uniquely designed for short bed trucks, allowing for tighter turning radius on short bed, extended cab trucks. 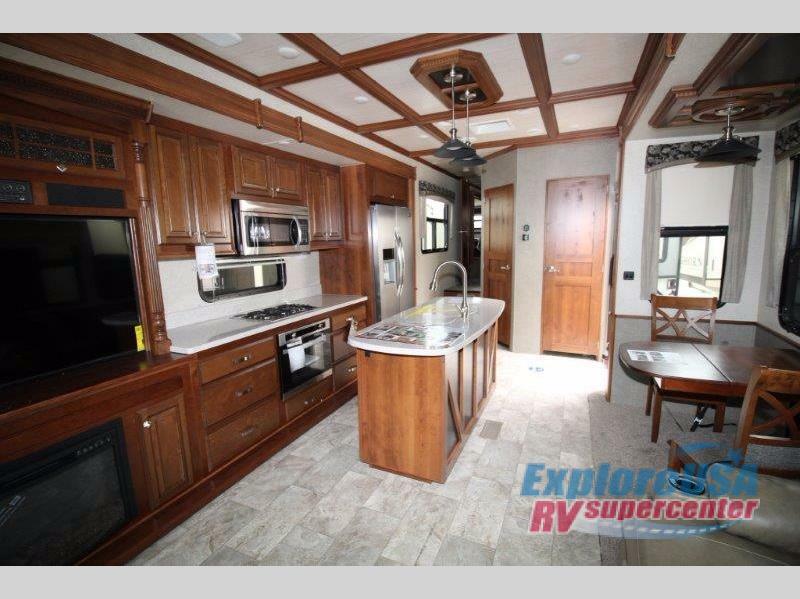 Don’t pass up the large selection of amazing Bighorn RVs On Sale at the Explore USA RV Bighorn Super Sale. Contact Us today to get the full time fifth wheel of your dreams at an incredible deal!